Syria is home to some 50 sites holy to Shiites. Some have been badly damaged in the fighting between Syrian government forces and rebels since 2011. At least one shrine has been reportedly desecrated by Sunni extremists. Several top Iranian officials have condemned attacks on holy sites. “Such acts could ignite the fire of religious rifts among followers of the divine religions,” warned Foreign Minister Ali Akbar Salehi in May 2013. The following are profiles of seven major holy sites in Syria. The gold-domed shrine, located near Damascus, is one of the holiest sites in Shiite Islam outside of Iraq and Saudi Arabia. It houses the remains of Zaynab, granddaughter of the Prophet Mohammed and daughter of Ali ― the fourth leader of the early Islamic empire and one of the most revered figures in Shiism. She was taken captive after her brother Hossein fell in battle against the Ummayad Dynasty near Karbala, which is in present-day Iraq. The shrine commemorates the seventh-century tragedy. The adjoining mosque was completed in 1990 and can accommodate more than 1,000 worshippers. Thousands of Iranians reportedly used to visit the site each year before the Syrian conflict erupted in 2011. Shiite fighters from Lebanon and Iraq have since flocked to the area to protect the shrine from extremist Sunni rebels. One Iraqi was reportedly shot by a sniper in May 2013. Hojr Ibn Oday was a close supporter of Ali, the cousin and son-in-law of the Prophet Mohammed. Ali was also the first imam, or Shiite leader. Oday led the early Muslims to victory in several battles. But the Ummayad Dynasty killed him and his sons in 660. His remains were enshrined in Adra, which is now a Damascus suburb. Syrian rebels reportedly ransacked the shrine in late April 2013. The Nusra Front, an al Qaeda affiliate, claimed responsibility for unearthing Oday’s remains. Iranian officials reacted angrily to the desecration. “Undoubtedly, such savage acts by the terrorists in Syria are indicative of their disbelief in Islam,” Iran’s parliamentary speaker, Ali Larijani, said on May 4, 2013. The Sayiddah Ruqayya Mosque houses the grave of Sukayna, the daughter of Hossein. She was captured after the Battle of Karbala and died at age four in an Ummayad prison. But her remains were moved to their current location in Damascus, according to tradition. In 1985, Iranians reportedly funded construction on the mosque surrounding the tomb. Pilgrims have traditionally taken home small pieces of clay from Karbala as keepsakes. In May 2012, Sunni extremists assassinated the mosque’s imam, Sheikh Abbas al Laham, according to Iranian news outlets. The al Nuqtah Mosque in Aleppo houses a stone believed to be stained with Hossein’s blood. After the Battle of Karbala, the Ummayad army captured members of Mohammed’s family and forced them to march to Damascus. They stopped near a Christian monastery near Aleppo, according to one version of the story. A monk saw light emanating from Hossein’s head at the end of a spear. He paid the soldiers to let him spend the night next to the head. The monk placed it on a stone, which was stained red from Hossein’s blood. He spent the night talking to it and weeping, and he converted to Islam. The head was then taken to Damascus. The Allepo site was reportedly turned into a mosque in the 10th century. An explosion in 1920 destroyed much of the structure. But a group of Shiites rebuilt it in the 1960s. 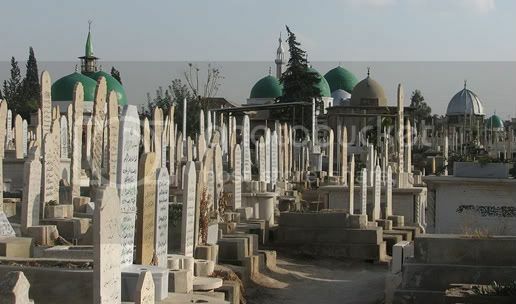 The heads of Hossein’s 16 companions who fought with him at Karbala are also buried here. Pilgrims tie small strips of cloth to grates of the tombs and ask the deceased for assistance. They return to collect the strips after the petition has been granted. Some spend the night in the cemetery in hopes of receiving blessings. The ancient mosque in Damascus is one of the world’s oldest and largest Muslim houses of prayer. It is in the center of the old city, which was designated as a U.N. world heritage site in 1979. The mosque is a popular destination for Sunni and Shiite pilgrims. The site was originally home to a Roman temple dedicated to Jupiter. It was then converted into a church in the fourth century. The church’s main draw was a unique relic ― the head of John the Baptist. The Ummayad Dynasty razed the church and built the grand mosque in the early seventh century. The Great Mosque of Damascus was known for detailed mosaics depicting paradise across its walls. But the Turkic conqueror Timur destroyed the mosque 1401. The Arabs rebuilt it. It was rebuilt again after a fire damaged the structure in 1893. The mosque is particularly significant to Shiites because captured members of Mohammed’s family were imprisoned in the complex after the Battle of Karbala. 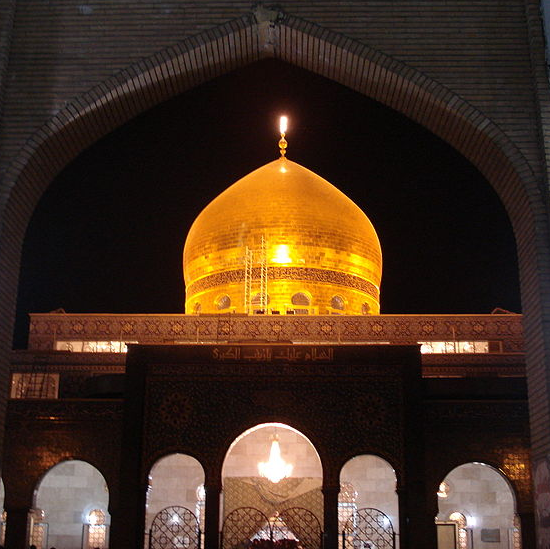 Some Shiites believe Hossein’s head was buried beneath a shrine inside the mosque. Others contend it was taken to Egypt, where another mosque has a shrine thought to house the head. Both Christians and Muslims visit shrine containing the head of John the Baptist. Built by the Ummayad Dynasty in the eighth century, the mosque is the largest and one of the oldest in Aleppo. It houses the remains of Zecharia, father of John the Baptist, according to tradition. The mosque has been destroyed, rebuilt and expanded several times. Most of the main structure was built between the 11th and 14th centuries. The mosque was severely burnt during clashes between Syrian rebels and government forces in October 2012. The rebels gained control of the area surrounding the mosque in early 2013. But the 11th-century minaret collapsed in April amidst another round of fighting. The heavy damage to the U.N. world heritage site prompted international outrage.